The Alexander W. Dreyfoos School of the Arts in West Palm Beach, Florida is seeking a full-time acting teacher to begin August 2019. The award winning DSOA Theatre Department takes pride in educating the next generation of theatre artists. Our mission is to provide students with the comprehensive theatre arts studies and practical experiences necessary to enter prestigious college, university and conservatory programs as well as the professional industry. Based upon a track system, students audition for admittance into the department in Acting, Musical Theatre, or Technical Theatre. 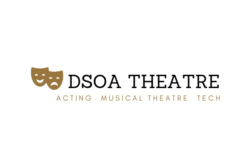 DSOA Theatre annually produces both a straight play and a musical in our mainstage theatre, a straight play and a musical in our black box theatre, as well as several student showcases. Our rich history over the last 25 years includes alumni that have been seen on Broadway, Film/TV, national tours, cruise ships, and regional theatres across the country. Graduates of DSOA Theatre are consistently accepted into the top theatre programs at the conservatory and university level. The available acting faculty position will be responsible for leading and creating a progression of pre-professional acting training from the freshman to senior year. Demonstrated experience in teaching several of the following are necessary: theatre history, various methods of acting technique, Shakespeare, scene study, ensemble building, devised theatre, improvisation, and/or directing. Significant professional experience performing and/or directing are preferred. This is a full-time position employed by the Palm Beach County School District. This employee must be eligible for or willing to promptly pursue certification as a secondary teacher as specified by the Florida Department of Education. Job Categories: Education. Job Types: Full-Time. Job Tags: acting, arts education, education, school, teaching, and theatre. States: Florida. Job listing expires in 18 days.